The US central bank is set to raise the benchmark interest rate this week, looking to get ahead of price increases that, though absent so far, are still expected to materialize. It would be the third rate hike this year, and is overwhelmingly expected by economists and traders, and hinted at by policymakers, even though official data show inflation remains well below the Federal Reserve's two percent target. With the world's largest economy growing and near full employment -- confirmed by a strong November jobs report on Friday -- the central bank has long been expecting to see signs of inflation in the pipeline. And now a Republican plan nearing approval in Congress to slash corporate taxes offers a potential juice to the economy that could prompt the Fed to hike rates faster, economists say. The Fed's forecast in September indicated three rate hikes were likely next year, but any increase in anxiety over fiscal policy and its impact on inflation could be reflected in the revised projections from policymakers that will be released at this week's meeting. Since the rate-setting Federal Open Market Committee last met six weeks ago, economic data have seen ripples of distortion from the multiple hurricanes of late summer, including rebounds in home construction and industrial output, for example. And a key measure of consumer inflation posted its first gain in nine months in October -- though this was partly driven by the cost of hotels and lodging, which rose as people left home to flee Hurricanes Harvey and Irma. The Fed's latest nationwide survey of the economy also contained reports of rising prices and worker pay -- just the thing the central bank watches closely. But the underlying trends have not changed much: an economy humming along at near three percent quarterly growth, robust-but-slowing job creation and record low unemployment, accompanied by weak inflation and sluggish wage gains. The absence of inflation has baffled Fed officials and led to a split among those who want to go slow, and those who want to hike more quickly before price increases hit the economy. Fed governor Jerome Powell, President Donald Trump's pick to lead the central bank starting in February, testified last month that the case for a rate hike was "coming together," in an unusually strong hint about the likely move this week. 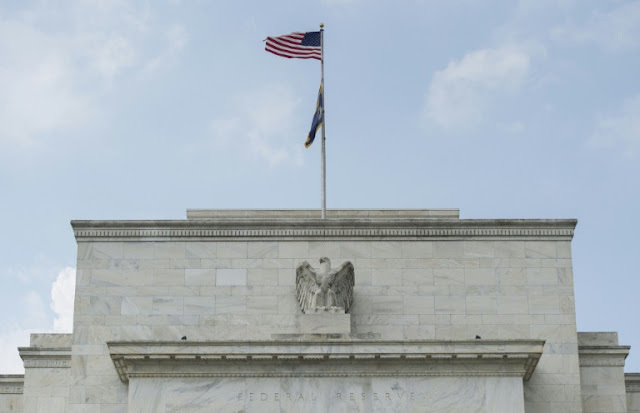 But Chicago Federal Reserve Bank President Charles Evans, currently a voting member of the FOMC, questioned the need to raise rates again so soon, and said the central bank could simply sit on its hands "until the middle of next year." How a massive tax cut that slashes corporate tax rates to 20 percent from 35 percent might change the outlook for the economy and inflation remains unclear as estimates vary widely. Much depends on the final details and when they take effect. According to economists at Goldman Sachs, the version of the tax bill adopted by the Senate could boost growth by 0.3 percentage points over the next two years -- before turning flat or even negative the following year. Ian Shepherdson of Pantheon Macroeconomics said tax cuts at full employment "make no sense" and could drive the unemployment rate to three percent. "You might think that's impossible," he said in a client note, "but note that 108 metro areas... already had sub 3.5 percent unemployment rates in September." But economist Diane Swonk said the plan was not likely to change the Fed's path all that much since most analysts say the tax cuts will favor the wealthy. "We know the economic effects are smaller... which doesn't make or break your monetary policy," she told AFP. Policymakers are also likely to wait until the tax plan is adopted before baking it into their economic forecasts, she added. Jared Bernstein, who served as economic advisor to former Vice President Joe Biden, said faster growth or even lower unemployment due to the tax cuts would produce a predictable reaction from the central bank. "If they smell any fire, they'll raise rates faster than they would have otherwise," he told AFP. 0 Response to "US Fed to hike interest rates as Trump tax cut looms"